The strapless set up provides unlimited possibilities for exploring new tricks and stance positions. 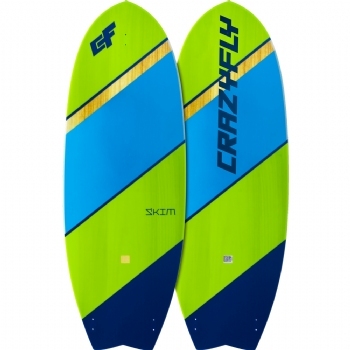 You can put the fins on, which see the Skim perform very well upwind, even in super lightwind conditions. Or for a nice skatey feel it?s equally happy being ridden without fins. 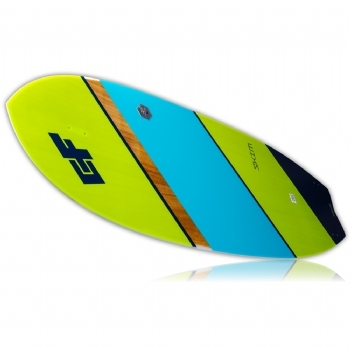 The Skim is also great fun in smaller waves, where you can carve them up or use them as kickers for strapless tricks. Our Skim board is produced with a full wood core, Multi Axial Fiber Glass construction and Ligt Up sidewalls. This construction provides comfortable medium flex and the flat bottom shape ensures easy early planing. The 2019 Skim ? let the fun begin. 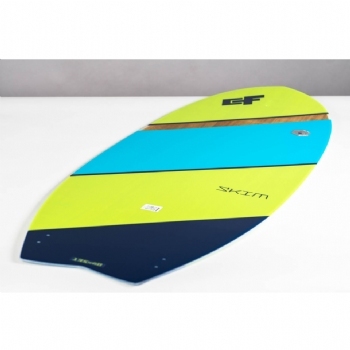 The Skim comes complete with a self-adhesive EVA footpad and 3cm Razor fins.